This is three days hike to the Dhampus hill is short but quite a rewarding trek. Walking through sparse villages, farm terraces and short stretch of woods we reach to the Dhampus hill after few hours of walk from Pokhara. A close face to face view of a long range of Annapurna and other mountains greets us on reaching Dhampus. We enjoy the amazing sunsets on the Himalayas in the evening and sunrise (next morning), scenery that you will treasure for long. Next day we walk back downhill through equally scenic route and catch a vehicle for Pokhara. Dhampus is not only a Mountain View point but also a small, ethnic Gurung village. A hike to Dhampus will give an opportunity to watch the daily lives of these villagers from mulching the buffaloes to their daily works on the farms. The trip start from Kathmandu, our expert trekking guide will pick up at your hotel and transfer you to Domestic terminal for the half an hour flight to Pokhara and drive to phedi and a shor trek (2 hrs) to Dhampus village sightseeing of village which is rich in Gurung culture and Natural attractions and overnight at local lodge and on second day after breakfast a short hike to Sarankot hilltop and sightseeing of Sarangkot hilltop and at evening view of sunset and overnight at hotel and on third day early morning wakeup call and panoramic view of sunrise and Annapurna range as well as virgin peak named fish tail and after breakfast drive to Pokhara domestic airport and fly back to Kahtmandu our vehicle assists you at Domestic terminal and transfer to your hotel. 10:30 am half an hour flight to beautiful city Pokhara which is known as city of lakes. 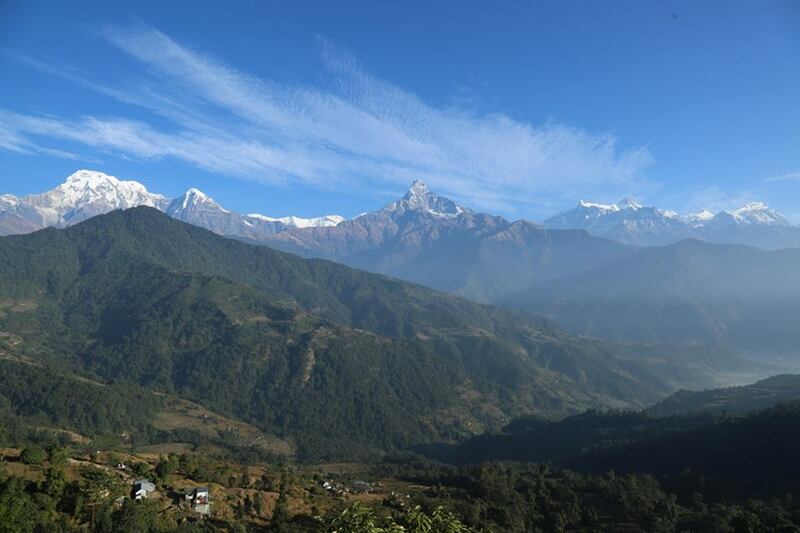 11:00 am our expert trekking guide with luxurious vehicle assits at Pokhara domestic airport and take a drive to phedi lunch on the way and 2 hrs hike to one of the beautiful village called Dhampus which is popular destination for both Natural as well as cultural prospective view and overnight at local lodge. 2 Day :After breakfast a short hike to another beautiful place called Sarangkot from which one can observe the spectacular view of sunrise and sunset as well as panoramic view of high snow capped mountains like virgin peak fishtail and Annapurna range and overnight at hotel.